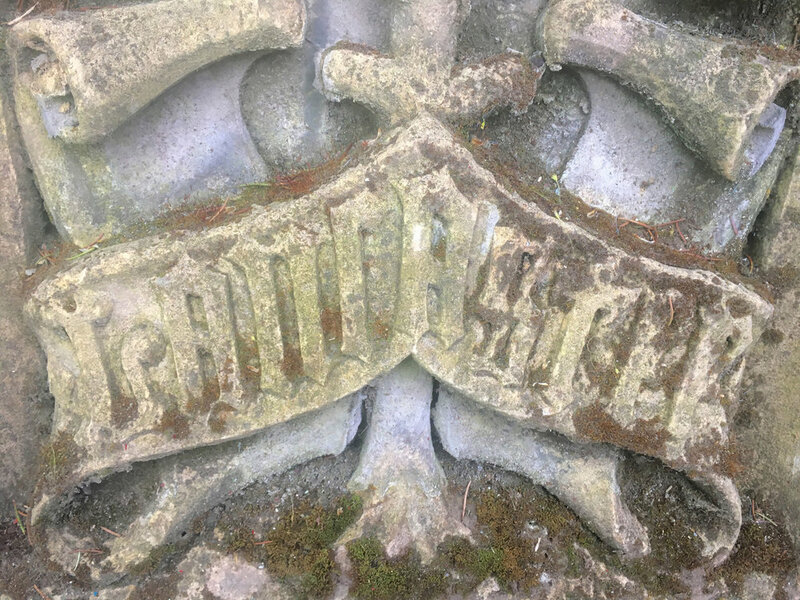 These fabulous and very large hand-carved stone plaques depict the heraldic symbols of the Houses of York and Lancaster (the War of the Roses). 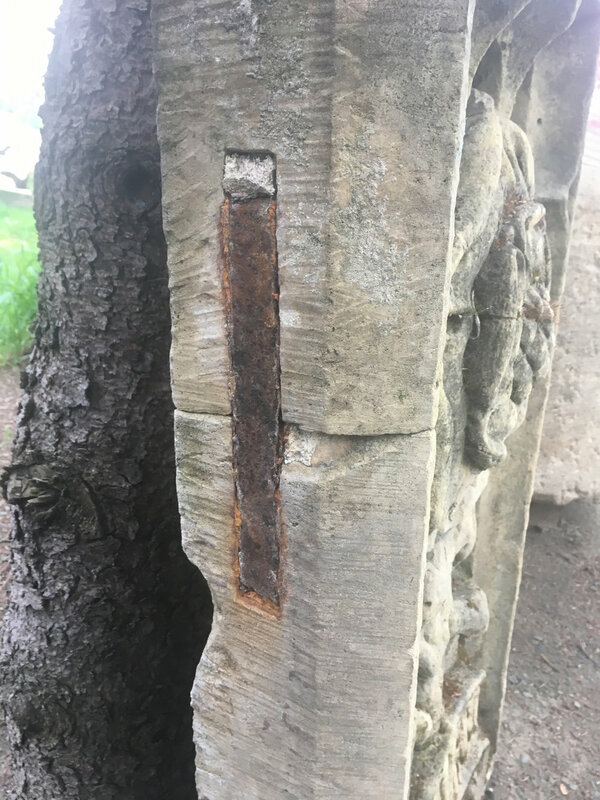 In overall good condition, with old iron repairs to the sides and a few cracks, they are completely solid and loaded with moss. 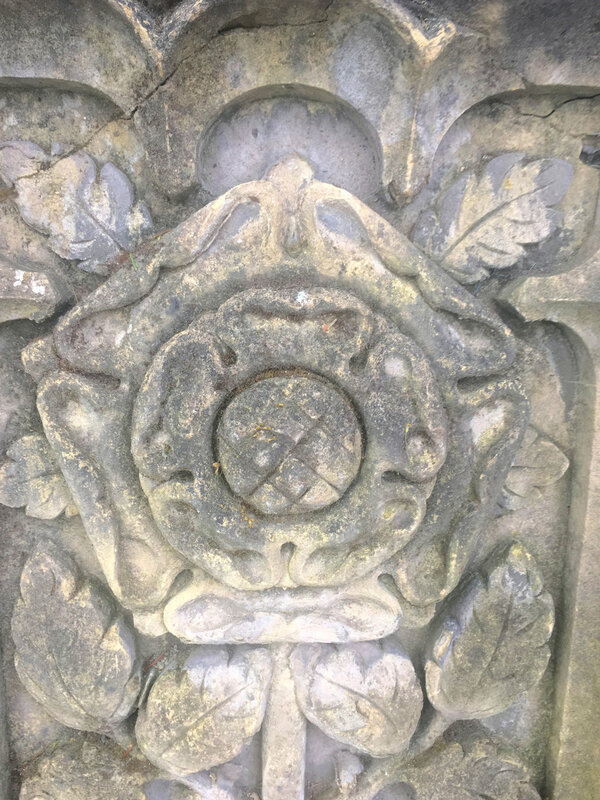 The bas relief carving is crisp and deep and features the Roses of York and Lancaster, surrounded by leaves and with the name of each house at the bottom. 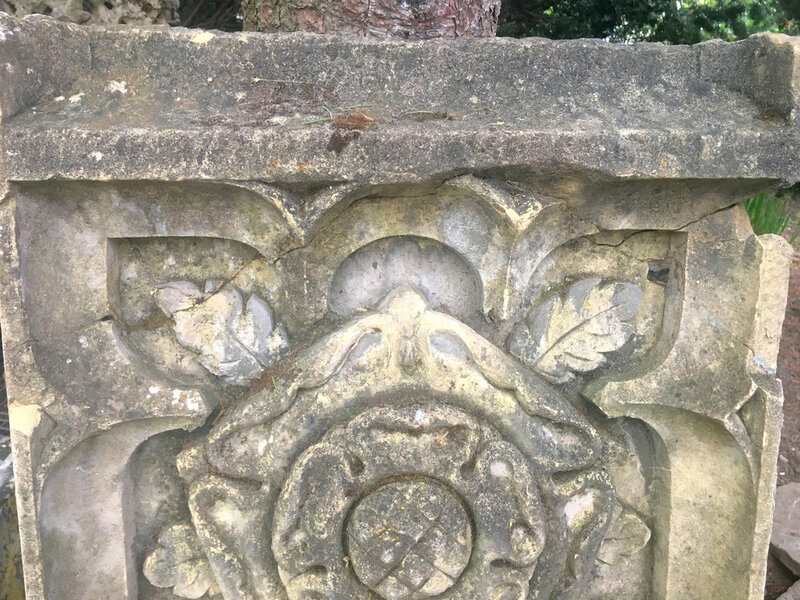 Removed from a prominent estate in Gloucestershire, where they were moved to in the early 18th C, these plaques likely date to the 17th C. They would make magnificent adornments to your country estate, affixed to or embedded in a wall or in gate piers.